Judd Apatow is back with another light-hearted and personality altering romantic comedy, written by the star of the feature, comedian Amy Schumer. Up until this film, Amy Schumer had made her name through stand-up comedy, outrageous antics and the odd television series, and I have to admit that I have never really been a fan of hers. However, TRAINWRECK definitely helps change that perception. It tells the story of Amy, a care-free single woman who has grown up on her dad’s philosophy that “monogamy is not realistic”, having one night stands with a different guy every night, and never committing to one man like her sister Kim (Brie Larson) has happily done. Working for a derogatory gossip magazine and desperate to become the next assistant editor, Amy takes on a sports doctor exclusive, interviewing the brilliant Aaron Connors (Bill Hader), who opens her eyes up to a brand new concept; exclusive dating. 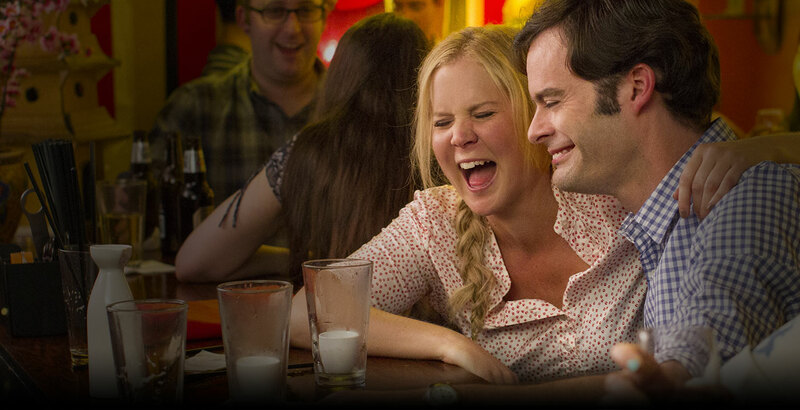 With an anti-romantic comedy feeling for half of the film, TRAINWRECK turns the genre on its head and shows the other, less glamorous sides of dating. Sarcasm is what Schumer specialises in, and looking back, you can tell that this film was written by her. Due to this, there was a lot of dry and awkward comedy throughout, but surprisingly, none of that seemed to come from her. Characters played by Vanesa Bayer and Tilda Swinton were very difficult to watch, but Schumer was, in fact, very entertaining in every scene she was in and plays the drunk card very well. 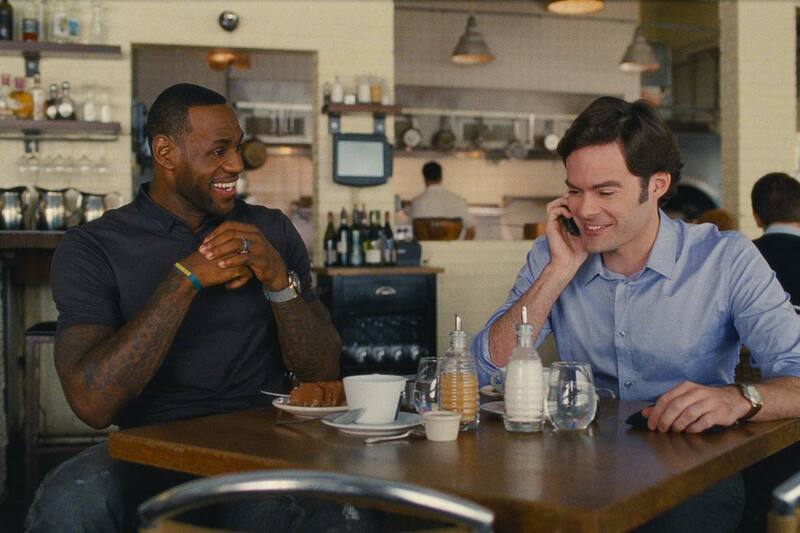 Bill Hader took a turn away from the silly and outrageous roles we’re used to seeing from him in the likes of SUPERBAD and SATURDAY NIGHT LIVE to play the straight-edged and respectful sports doctor how has a ‘bromantic’ relationship with one of the best cameos I have seen in years from the current king of basketball, Lebron James. Lebron showcases his acting and, most importantly, comedy talents in this film, which could perhaps be his audition piece for the rumoured SPACE JAM 2, which I believe he could definitely pull off as well as, or maybe even better than, Michael Jordan in the original film. Overall, TRAINWRECK was a surprisingly entertaining romantic comedy with a twist. Many have said that it was too long a film, and although I can understand their point of view, I think it is quite refreshing to have a longer than usual romantic comedy, and personally I didn’t experience any moments where I thought it was dragging. If you’re a fan of the likes of SATURDAY NIGHT LIVE and THE US OFFICE I think that you will find this film absolutely hilarious. I enjoyed it a lot, and was pleasantly surprised by Schumer’s performance, but it is no FRIENDS WITH BENEFITS if you ask me, and compared to his other work, falls short of THE 40 YEAR-OLD VIRGIN and KNOCKED UP. Recommendation: A great little twist on a normal romantic comedy plot, with a decent cast and some brilliant cameo roles. It is worth a date night for sure, but I suggest you catch it on a Tuesday or Wednesday if you can use Meerkat Movies, or alternatively visit your local Showcase Cinema on a Sunday evening, Monday or Tuesday to make use of the Showcase Insider reduced rate.